Piriápolis, is one of Uruguay’s most popular destinations, and has been a high performing property market. It’s a 1950s-style seashore destination, popular with Uruguayans, Argentines, and expats. Increasingly, it’s catching on with Brazilians and Europeans. Piriápolis was Uruguay’s first seashore resort, founded in 1890; more than 15 years before the founding of world famous Punta del Este. 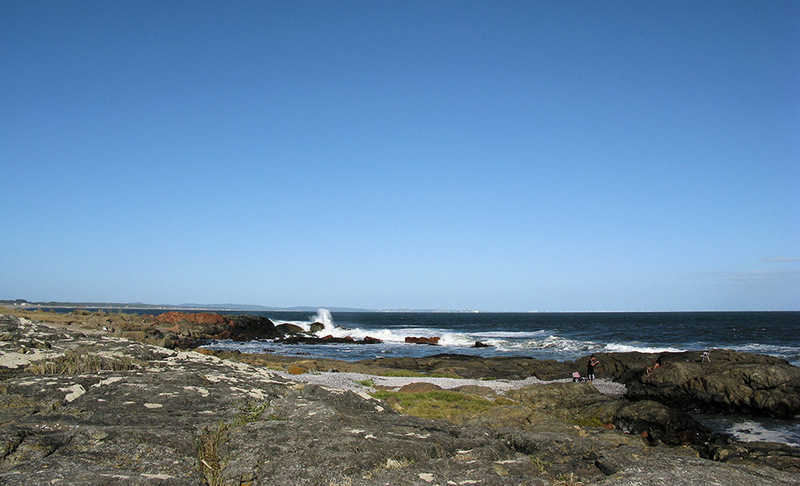 It’s located between Montevideo and Punta del Este, adjacent to the lesser-known Costa del Oro. Piriápolis seems to be on the ocean, but technically, it’s located on Río de la Plata… the river that separates Uruguay from Buenos Aires. Since the river is 129 miles wide at this point (210 km)—and your visual horizon is only about three miles—it certainly feels like you’re on the Atlantic. 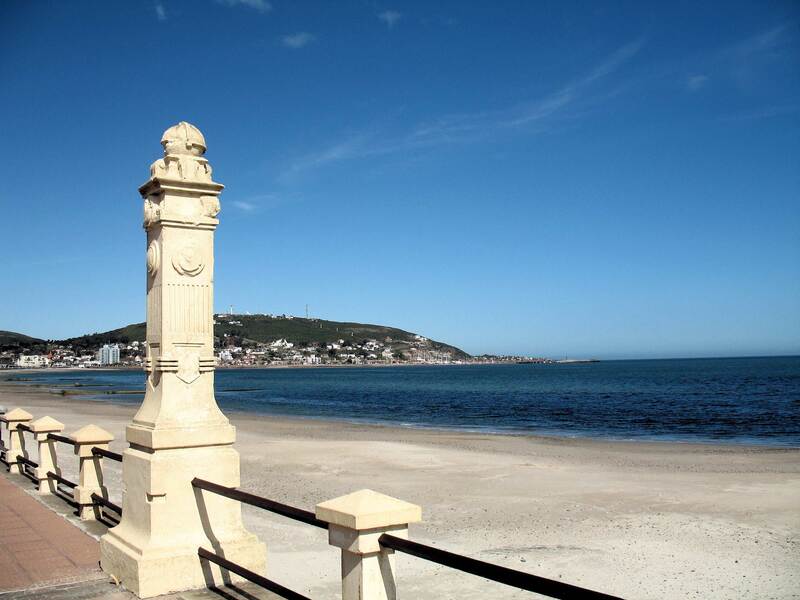 Just over an hour from Montevideo, Piriápolis has long been popular for its sandy beaches, calm waters, and attractive seafront. When I first drove into the town of Piriápolis, it immediately brought back fond childhood memories of summers on the New Jersey shore. The old buildings, seafood restaurants, and people sunbathing or strolling along the boardwalk simply looked like life in the 50s. With fewer than 9,000 full-time residents in town, Piriápolis never achieved the international fame of Punta del Este, and in fact, its popularity had already been eclipsed by Punta del Este just after the turn of the 20th century. 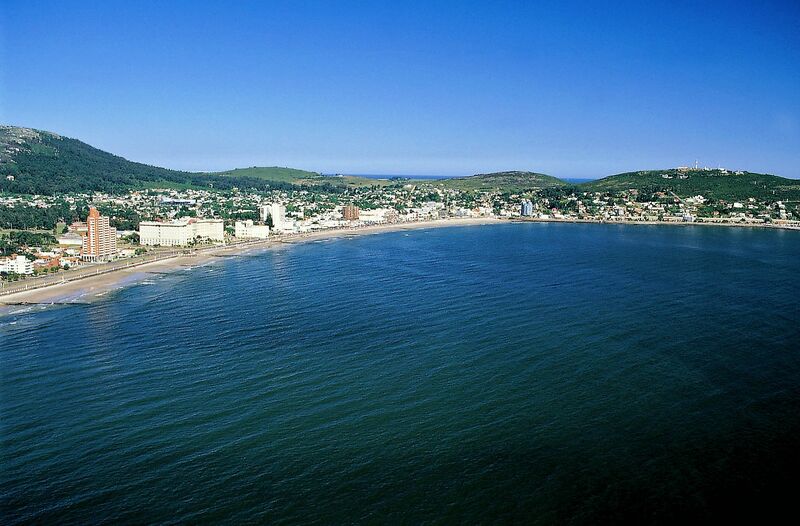 In the summertime (especially January), Piriápolis is jammed to the seams, as vacationers come to enjoy the friendly ambiance, seafood restaurants, casinos, and of course the beaches. The combination of the downtown and the summertime crowd conveys a positive, upbeat feeling. In the wintertime the town seems deserted, which is to be expected at any resort in Uruguay. As a resident of nearby Punta del Este, I can tell you that it’s fun when the summer crowds show up each year… and a pleasant relief when they go home. Piriápolis is also popular with boaters, as it is home to two marinas on a coastline that has very few places to moor a boat. In fact, the marinas—which are relatively new—have become very popular. When compiling the 2016 high-season data, the tourism department recognized them as a now-significant contributor to their tourism bottom line. One of my favorite features of Piriápolis is that it’s walkable. At most downtown locations, you’ll get by easily without a car. And for trips to Montevideo, Punta del Este or their international airports, Piriápolis offers frequent, modern bus service with free Wi-Fi. 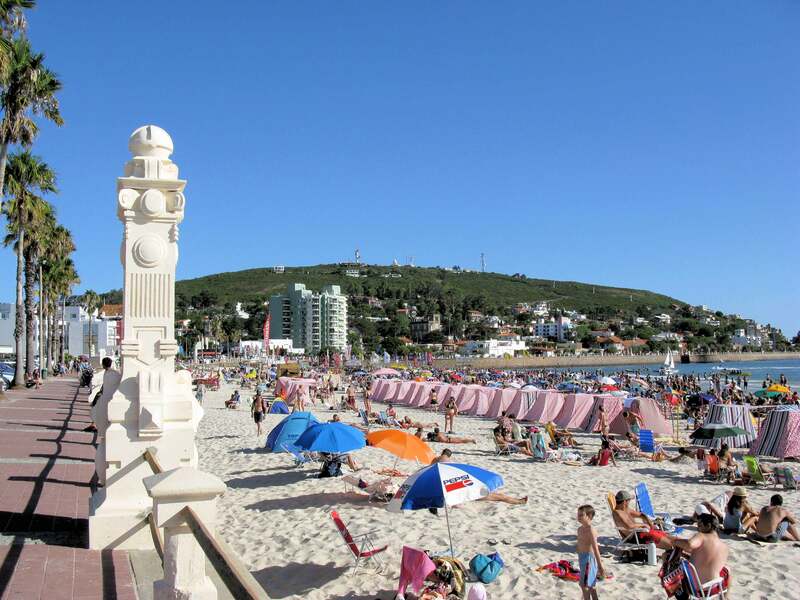 Piriápolis is understandably quite popular with full-time expats. The local expat community is fairly close, and meets periodically. Uruguay is one of the world’s most popular destinations for those who value individual sovereignty and offshore diversification. And for some reason, a fair number of such expats have chosen to settle in Piriápolis. The folks I’ve met have been unusually savvy about banking, privacy, currency trends, and international politics. When I talk about the Piriápolis market, I usually include several outlying areas around town. All have easy access to the conveniences of the city. 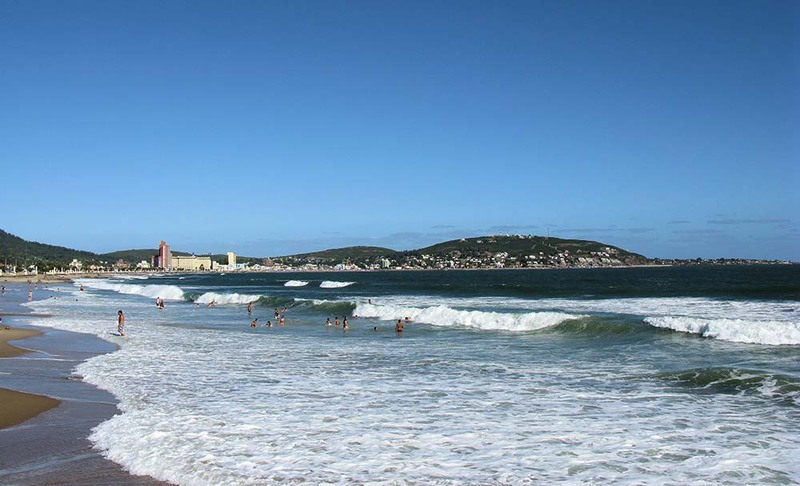 The sectors of Playa Hermosa, Bella Vista, Las Flores, and Playa Verde are located along the seafront road west of downtown Piriápolis (remember that Uruguay’s Atlantic coast at this point runs east and west, rather than north and south). Playa Hermosa is actually on a loop road that runs along the water—rather than the main coastal road—so it’s very quiet with almost no traffic. Heading east from town, Punta Colorada is a point that juts out into the sea about five minutes from downtown. I like this area particularly because a well-situated house can have a 270-degree view of an awesome section of coastline. I first looked at properties in Piriápolis in 2005, and have been following the market ever since. Piriápolis saw modest gains between 2005 and 2008, but prices have been going up impressively since 2008. A front-line, waterfront project downtown in 2008 was selling two-bedroom units for US$75,000. Today, those units run between US$190,000 and US$220,000. That’s an annual increase of over 30% (total increase of 280% for nine years). Another project is located on the edge of downtown, with a good view overlooking the marina, but with no beach out front. The two-bedroom unit that was selling for US$120,000 is now going for US$245,000…an increase of just over 22% per year. Houses have gone up a bit less than apartments, but they’ve also increased notably. This performance is despite fewer buyers from Argentina, loss of bank secrecy in Uruguay, and other factors that have cut into Uruguay’s second-home market. The Piriápolis market is respectable, and not the laggard that Punta del Este realtors would have you believe. But that said, your liquidity will be better in Punta del Este than in Piriápolis. Punta del Este is more expensive, but it gets a lot more international traffic. So if you’re looking for a quick turnaround when it’s time to sell, Punta del Este will be a better bet, unless you have a sought-after location in Piriápolis. Rental returns are somewhat modest, due to the relatively short high-season. You won’t get rich off the income of a property here, but you could easily cover your costs of ownership and be able to set a few bucks aside. And some landlords use their units for at least a couple of high-season weeks, which further reduces their rental returns. Properties usually rent for 15-day periods, called a quincena in Uruguay (pronounced, roughly, keen-SEH-nah). The first quincena in January is the peak, followed by the second of January. (There will be a noticeable drop-off in visitors during the second quincena.) February is next, with its first quincena outperforming the second. December and March will see some rental action, but it’ll be reduced. The period of Carnival—aka Mardi Gras, which changes with Lent—will see increased visitors. Outside of peak periods, many properties in Piriápolis rent by the week or by the day, at lower rates. As you’d expect, premium units in the best areas have the highest off-season occupancies. For the 2017–2018 high season, a front-line, modern apartment with an ocean view is going for about US$2,400 per quincena for a two-bedroom, two-bath unit (US$4,800 per month). A one-bedroom unit will be around US$1,350 per quincena. The one-bedroom unit will cost about US$125,000 today, while the two-bedroom unit will be around US$210,000. Expect to get about US$60 per day on a well-located unit in the off-season, between April and November. Here’s a sampling of what’s on the market in Piriápolis today. A 160 square meters (1,721 square feet) duplex in the San Francisco neighborhood has three bedrooms, two bathrooms and a living area with balcony and fireplace. Built in 2014, it’s located 200m from the beach, and |has a covered terrace with barbecue. The asking price is US$195,000. About 50 meters from the beach in Playa Hermosa, we found an older (1960) beach house in good condition, with 150 square meter (1,614 square feet) of living area, including three bedrooms, one and a half bathrooms, a fenced yard with barbecue, and a single car garage. The asking price is US$150,000. In a wooded area near Barrio Los Angeles, we found a neat brick bungalow with 140 square meters (1,506 square feet) of living space, including three bedrooms, two bathrooms, a nicely finished kitchen, air conditioning, and alarm systems. The yard is shady and fenced, with a covered barbecue area and a carport. The asking price is USD$250,000. A fourth-floor water-front apartment is available right now, with 90 square meters (968 square feet) of living area, including three bedrooms and two bathrooms. The living/dining area and balcony have water and beach views, while the master bedroom has views of the town and surrounding hills. The asking price is USD$180,000. Finally, the La Riviera building has a number of units for sale. It’s located downtown, on the beach, with great views and within walking distance to all the downtown restaurants, shops and cafes. A two-bedroom unit with two full baths is on offer, with balconies overlooking the sea from the living room and master bedroom. The asking price is US$215,000 for a third-floor unit. For a fourth-floor unit, they’re asking US$220,000. A one-bedroom unit has an asking price of US$125,000. Piriápolis is not only unique in Uruguay, but its ambiance is unique in my experience anywhere outside the U.S.
And make no mistake, one of its biggest draws is that it’s in Uruguay; a First World environment with low crime levels and a high standard of living… a country that offers a solid financial system, a strong agricultural base, and a friendly, welcoming culture. If you’d enjoy a small, friendly town by the sea—that calls to mind 1950s America—than Piriápolis could well be for you. Loja is a dump! WHERE did you find clean places there? It is filthy and dusty everywhere!!! Now they have started putting electric wires underground, and the place is all dug up… The new road to Loja has deeeeeep cracks, as do roads south of Vilcabamba. For a westerner, Loja is a depressing place to be. That is why there are NO expats there, just to let you know. I enjoy your emails. I live in the USA, and already have my first overseas property. I thought I had picked a good property manager in Medellín, but things are not working out. The property manager placed a tenant in my property, and now they have stopped paying rent. What are your rights as owner if you have a problem with a rental property tenant in Medellin? And how do I get rid of the tenant if the property manager has proven to be inept (even though his references checked out)? Are there any clauses that should be in the property management contract to handle this case? Do you have the name of someone in Medellin who can help me deal with this? Lorna raises several important issues. With respect to contracts, there are two to consider: the contract between you and the property manager (PM), and the contract between the PM and the tenant. The contract between the PM and the tenant should specify when the tenant will pay the rent and the security deposit, and how much those items are. It should also specify what happens if the rent is not paid, or other terms of their contract are not met. Evictions typically are the result of non-payment, but I’ve also seen them for breakage, noise and partying, or even smoking in the unit. The contract between you and the PM should include clauses that require them to collect rent on your behalf, and to get rid of tenants who are not in compliance with their contract, including payment. Evictions are the job of the PM, and part of their job is to know the rights of the owner when it comes to evictions. First, I’d inform the PM that you’re going to hire an attorney to compel the PM to fulfill his responsibility to act on your behalf. Do not say that you’re getting an attorney to do the eviction, or you’ll be letting the PM off the hook. If the property manager still refuses to do their job, you’ll need to get the lawyer. Try Mónica Robledo, Emma Higgs, or Juan Darío Gutiérrez. All speak excellent (or native) English.